When it's cold outside nothing looks cozier than knitted cables. Bulky, soft and warm - they are our number one choice for winter knits. Recently I came across two interesting patterns and though they both have cables in them the patterns are different. 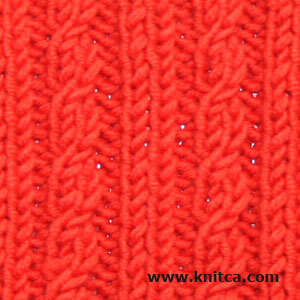 The first one has small two stitch cables on ribbing that look simple but pretty. It can be used in a hat or a kid's sweater. 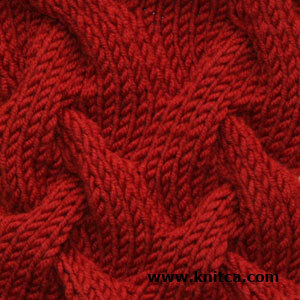 As it is reversible it will also make a nice scarf. The second stitch pattern is bulkier and would look awesome as an accent or an all over pattern on a sweater, warm cardigan or a bulky cowl.